Reconciliation is the process of maintaining or restoring amicable relations between opponents in the event of a dispute or conflict. Dispute and conflict have been inherent to human society at all times and they have been as much motivators of progress and development as perpetrators of destruction and disaster. Acknowledging their ineluctability, the need has been felt to ensure that their deleterious efforts are minimized, if not eliminated. The ideals to be achieved as counterpoints to dispute and conflict are amity, unity, harmony and peace. As an outstanding religious leader playing simultaneously the role of an active social reformer, the Buddha had much to say on reconciliation. Happily we reside without hate with people who are hateful. Happily we reside in health with people who are sick. 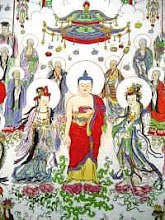 If coexistence, thus illustrated, implied coping with the opposite, unity for the Buddha was a positive state in which amity or friendship was extended without reservation to everyone. It is significant that the term that the Buddha used most emphatically was metta – a nominal derivative of mitta, a friend. But his definition went beyond mere friendship and extended to loving kindness, when he compared the sentiment to be equal to what a mother felt towards her only son whom she would save at the risk of her own life. 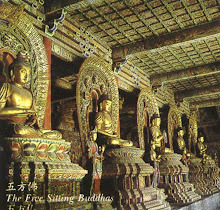 In a telling comparison of possible forms of merit, the Buddha stated that a moment of contemplation on metta exceeded the merit of offering alms to a hundred of Buddhas. 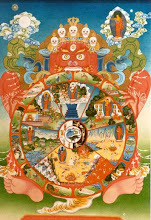 Metta had to be extended to all sentient beings whom the Buddha encompassed as the stable and the moving without exception, long, huge, middling and tiny as an atom, seen and unseen, living near or far away, and born or seeking to be born. The definition excluded no one. kindness in its active dimension is Karuna, compassion or pity, which enables one to react and respond to the pain and suffering of another. Mudita, sympathetic joy, felicitation or appreciation, is to overcome envy, jealousy and hostility and rejoice over another’s good fortune. 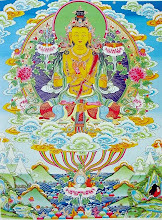 The fourth sublime state of Upekkha, signifying both equanimity and equality, removes obvious obstacles of either disposition or perception to unity and harmony. Amity, unity and harmony together ensured peace and security. 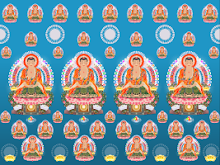 The Buddha viewed peace as a state of nonviolence and moral perfection. 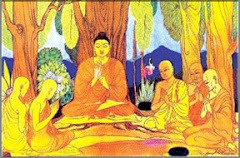 In three of the most important discourses, namely Kutadanta, Agganna and Cakkavattisihanada Suttas (DN 5, 27, 26), he traced the cause of violence, crime and moral degradation to poverty and inequitable distribution of goods and the deprivation of the destitute. It was from poverty, he said, that stealing, violence, murder, falsehood, evil speech, adultery, abusive and frivolous talk, covetousness, ill will, false views and perverted lust arose until finally filial and religious poverty and respect for leadership disappear. The result of such a process of moral degeneration, in which mutual enmity, hatred, animosity and murderous thought would arise in people, is that they would kill parents, siblings and children with the insensitivity of a hunter of animals. Finally, the Buddha saw, as the ultimate consequence of poverty, a war of mass destruction with dangerous weapons, in which people would look upon each other as wild animals. Only a few, he asserted, would survive such a cataclysmic armed conflict. And further, due to sensuous craving, conditioned through sensuous craving, impelled by sensuous craving, entirely moved by sensuous craving, people break into houses, rob, plunder, pillage whole houses, commit highway robbery, and seduce the wives of others. Then the rulers have such people caught, and inflict on them various forms of punishment. And thereby they incur death or deadly pain. 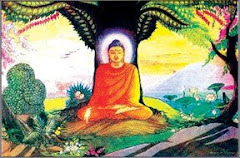 With such an in-depth analysis of the foundations of amity, unity, harmony and peace, which the Buddha had presented to many audiences of influential people, could he usher an era free of dispute and violence? History tells us a different story, highlighting in the process the dismal reality of the inevitability of dispute and conflict. Even as the Buddha was expounding his lofty ideals of loving kindness and moral rectitude, kings waged war against kings. 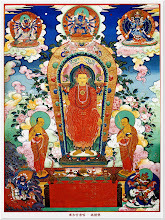 The Buddha’s friend, King Bimbisara of Magadha, was imprisoned and tortured by his son Ajatasattu. Being an ambitious empirebuilder, he had designs on annexing the tiny republic of the Vajjis. 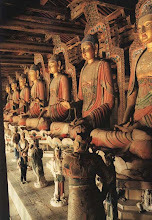 The Buddha’s own relatives were on the verge of engaging themselves in an armed conflict. 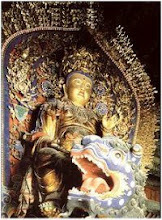 An angry prince massacred multitudes of the Buddha’s own clan. He himself was the target of a series of attempted assassinations, contrived by his cousin Devadatta. 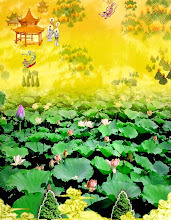 Even within the Sangha – that ideal society of equality, voluntary poverty, democratic decision-making and high moral standing – there were serious conflicts though without violence. How did the Buddha react? What solutions did he offer? 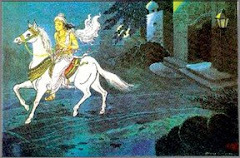 When his relatives, the Sakyas and the Koliyas, lined for war to share water of a river, he sat amidst the battle lines and asked them the crucial question: “What Is more valuable – a drop of water or the lives ksatriyas chiefs?” He taught them to live without hate among the hateful (Dhp.197-199) and narrated several Jataka tales to underscore the value of unity and harmony. In Sammodana Jataka (also known as the Vattaka Jataka 33), a united flock of quails saves themselves by flying together in harmony with the hunter’s net whereas those in conflict fail to do so and get captured. 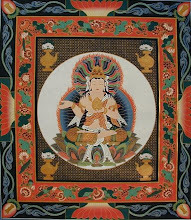 (Jataka 74). 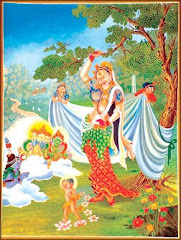 Rukkhadhamma Jataka illustrates how those in unity moved to safety in unison while those disunited succumbed to danger. 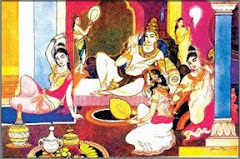 (Jataka ) Indian literature has eloquent parables in praise of unity. Among them is the story of the father who demonstrates how a bundle of sticks tied together could not be broken whereas each single stick could be easily broken. 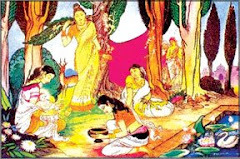 Twice did the Buddha try to persuade Vidudabha to desist from his revengeful massacre of the Sakyas by sitting under a shadeless tree and telling Vidudabha that the shade of his relatives gave him comfort; Was it a gesture of pleading for forgiveness on behalf of the Buddha’s errant relatives? 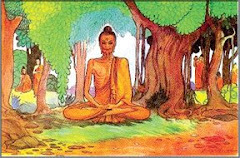 When a debate on a trivial point of discipline exacerbated into a major debate resulting in disunity within the Sangha and well as the lay supporter, the Buddha in utter frustration retired to the solitude of the Parileyya forest to express his disapproval and disappointment and to underscore the futility of acrimonious conflict. So the Buddha’s thoughts on dispute and conflict were founded on real world experiences, which he had himself experienced. Conquer anger with non-anger or love. By non-hatred or love do hatreds cease. For humans are mostly without virtue. g. “Covering over with grass” where both sides of a dispute or conflict admit that each had committed offensive actions and confess to the community and, in order to prevent further dissension or divisiveness, agree to close the case. Of these seven forms of handling a dispute or conflict, what comes nearest to reconciliation is the last one which is figuratively named “Tinvattharana” – covering with or covering as with grass. The final goal of reconciliation is negatively to prevent further dissensions and division and positively to restore amity, unity, harmony and peace. The process begins by both sides to a dispute or conflict admitting each one’s wrong-doings. Through a further process of mutual understanding forgiveness, the final step is to forget the previous wrong doings and carry no further grudges. one who rightfully pardons one who had confessed one’s offenses. vi. The whole community must be involved in the process. While each of the first three steps is important, it is in the implementation of the last three that the highest level of diligence has to be exercised. Here, again, the Buddha had given a useful directive. Every issue must be investigated starting from the very origin. The term in Pali – namely, yonisomanasikara – is very expressive. How did the conflict arise? What were the causes? What acts of commission or omission led to it? These are the questions to be raised when amends have to be made by each side. Making amends demands causes to be identified and rectified. Maintaining and assuring peace and security in the future has to be the final result of reconciliation. The only then can the ground disturbed by the conflict be covered over with grass as the picturesque metaphor of the Buddha implies. 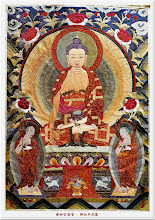 d) Getting together (samavayo sadhu) with the opponent for consultation, compromise and consensus. Be open to all religious and spiritual influences in a spirit of tolerance. 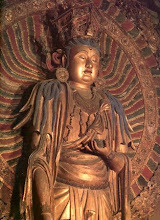 Visualize a process of reconciliation, which results in conscious actions of goodwill and accommodation according to the Buddha’s injunctions and principles on the part of factions in a dispute or conflict. There could be no better way to ensure lasting amity, unity, harmony and peace. 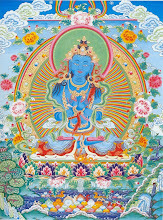 Sabbe satta bhavantu sukhitatta – May all beings be happy and well. 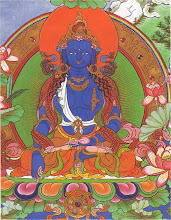 Nikaya; MN – Majjhima Nikaya; Snp. – Sutta Nipata.